Successful flood response in Roseau County Courthouse, 2002. Minnesota Historical & Cultural Heritage Grants program has upcoming deadlines for both small and mid/large grants. The next small grants deadline will be Friday June 13, 2014. The mid/large grants final applications (available to those who submitted pre-applications) is Friday June 27, 2014. All applications must be in before midnight on the stated deadline date. Contact the Grants Office with questions. A Feasibility Study containing a redevelopment evaluation of a commercial building to include a site evaluation visit and a report on observations by a structural engineer and historic architect. This initial phase of the project (rehabilitation & reuse of the building) focused on determining the feasibility of preserving the building and acquiring it & rehabbing it for public use. The study achieved this providing information necessary for the City and property owner to make decisions on next steps. County fair boards are often stewards of history. Tour historic places in Rice County. Dealing with water-damaged collections? Check out this short video from Heritage Preservation. Keep scheduling those school tours! 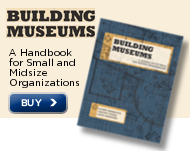 Study shows that children who visit museums have higher achievement in reading, math, and science. Canada starts their own National History Day program. Minnesota Historical Society, St. Paul MN, seeks Site Supervisor at Alexander Ramsey House. Deadline: May 15, 2014. Wisconsin Historical Society, Madison WI, seeks Curator of Interpretation for Wade House, Greenbush WI. Deadline: May 26, 2014. Stearns History Museum, St. Cloud MN, seeks Director of Development and Marketing. Deadline: Friday May 30, 2014, 5 p.m. The Schubert Club, St. Paul MN, hosts local artists from The New Age Art Salon, Thursday May 8, 2014, 7:30-9 p.m., Landmark Center. Free, but RSVPs are requested. Join Burnsville Historical Society, Burnsville MN, for their exhibit opening, "Burnsville's Attic: 1939," Thursday May 8, 2014, Ames Center for the Performing Arts, Burnsville. Call 612-743-0037 for more information. Historical and Cultural Society of Clay County, Moorhead MN, announces free admission for mothers on Sunday May 11, 2014, in honor of Mother's Day. Call 218-299-5511 for more information. Lyon County Historical Society, Marshall MN, hosts Dr. Lloyd Petersen who will speak on caregivers during the Civil War, May 14, 2014, 6:30 p.m.. Call 507-537-6580 for more information. Steele County Historical Society, Owatonna MN, welcomes Dr. Patrick Greenwood for a presentation on Owatonna physicians from the Greatest Generation, Thursday May 15, 2014, 7 p.m. Call 507-451-1420 for more information. Sherburne History Center, Becker MN, hosts a "Rhythm & Brews" fundraiser, Friday May 16, 2014, Carousell Works, Big Lake MN. Tickets: $25. Call 763-261-4433 or 763-262-4433 (metro). Nordic Culture Clubs is celebrating Syttende Mai, Norway's Constitution Day, Saturday May 17, 2014, with a Nordic Footprints 5K Walk/Run and Polse Fest. Call 218-299-5452 for more information. Carlton County Historical Society, Cloquet MN, hosts Larry Luukkonen, who will present a program called "Mapping the St. Louis River," Saturday May 17, 2014, 1 p.m. Call 218-879-1938 for more information. Brown County Historical Society, New Ulm MN, offers a Norwegian children's program in honor of Syttende Mai, Saturday May 17, 2014, 1 p.m. Call 507-233-2616 for more information. Sherburne History Center, Becker MN, hosts "Oak Savannah and Prairie," Saturday May 17, 2014, 9 a.m. to noon. Learn about Minnesota's ecosystem from local environmental groups. Call 763-261-4433 or 763-262-4433 (metro) for more information. Maud Hart Lovelace Society invites the public to join them for the reissue of Maud and Delos Lovelace's book "One Stayed at Welcome," Sunday May 18, 2014, 1:30-3:30 p.m., Magers and Quinn Booksellers, Minneapolis MN. Harkin Store, New Ulm MN, operated by Nicollet County Historical Society, St. Peter MN, announces a special program about riverboats on the Minnesota River, Sunday May 18, 2014, 1-4 p.m. Call 507-934-2160 for more information. Ramsey County Library-White Bear Lake and White Bear Lake Area Historical Society present Darryl LeMire, who will speak about his experiences as aircraft support during the Vietnam War, Monday May 19, 2014, 6 p.m. Free. Call 651-407-5327 for more information. Preservation Alliance of Minnesota, St. Paul MN, invites the public to join them for a sneak peek tour of the Pioneer Endicott building, St. Paul MN, Tuesday May 20, 2014, 6-8 p.m. Cost: $10/PAM members; $15/nonmembers. Blue Earth County Historical Society, Mankato MN, welcomes the public to meet Sandy Howe, artist for the "Simplicity" art exhibit currently on display at the historical society, Tuesday May 20, 2014, 5-7 p.m. Call 507-345-5566 for more information. Lyon County Historical Society, Marshall MN, hosts Bill Palmer, who will speak on the Veterans Conservation Corps that built Camden State Park, Wednesday May 21, 2014, 6:30 p.m. Call 507-537-6580 for more information. Ramsey County Library-White Bear Lake and White Bear Lake Area Historical Society host a talk about the history of the White Bear Lake library, Wednesday May 21, 2014, 2 p.m. Call 651-407-5327 for more information. Stearns History Museum, St. Cloud MN, announces a workshop designed for people interested in researching the history of their St. Cloud home. Join them for "Who Lived in My House?," Wednesday May 21, 2014, 10 a.m. Come at 9:30 a.m. to attend "Intro to the Research Center and Archives" class. RSVP for both to Sarah Warmka, 320-253-8424. Lyon County Historical Society, Marshall MN, hosts a grand opening of the ice cream shop and Pioneer and Early Farming exhibit in the museum's lower level, May 28, 2014. Call 507-537-6580 for more information. St. Louis County Historical Society, Duluth MN, announces the next event of its Veterans' Memorial Hall program, "History in a Pint" series, "More than War Souvenirs: Reflections on Minnesota's WWII Veterans and their Japanese Swords," May 29, 2014, 6 p.m., Carmody Irish Pub, Duluth. Call 218-733-7500 for more information. Boy in Blue Memorial Project, Mankato MN, hosts "Boys in Blue Civil War Stories," Saturday May 31, 2014, Blue Earth County Library, 10 a.m. Call 507-304-4020 for more information. Anoka County Historical Society, Anoka MN, announces the return of their popular Civil War Bus Tour of Anoka County, Saturday June 28, 2014, 9 a.m. to 2:30 p.m. Seating limited; reservation required. Buy tickets online or call 763-421-0600. Minnesota Association of Museums announces "Summit at Summit: Tap into Fundraising," Wednesday May 14, 2014, 6-9 p.m., Summit Brewing Company, St. Paul MN. Gain tools to demystify the fundraising process and network with your colleagues! Minnesota State Arts Board offers three free one-hour webinars to help applicants prepare to apply for the Artist Initiative grant program. Register online for one of three sessions: May 12, June 9, or June 30, 2014. Minnesota State Arts Board announces a free one-hour webinar to help applicants prepare for the Arts Access grant program, Tuesday May 20, 2014, 11 a.m.
Minnesota Digital Library announces that registration is now open for their 12th Annual Meeting, Tuesday June 3, 2014. Participate in a survey to help the Preservation Alliance of Minnesota’s new Cornerstone Academy plan its place-based learning program efforts. This program is part of a partnership with the Historic Preservation Department of the Minnesota Historical Society and will focus on preservation education for a variety of people, held at various locations—some historic—around the state. As we roll out this program, we are interested in hearing from the preservation and history community along with the general public. We value your opinions and ideas, and your feedback is important to us in helping determine how we can better improve our services. The survey is anonymous and secure and should take less than 10 minutes to complete. Please share the survey link with interested colleagues or acquaintances. Surveys must be completed by May 30, 2014. Cultural Data Project requests your organization's help with an economic impact study for Minnesota's arts and cultural heritage organizations. Fill out a brief online survey; the report will be released January 2015. May is Minnesota Museums Month! Celebrate with your colleagues all month long. Is your organization holding any special events? Send the postings to Local History News. The History, Philosophy and Newspaper Library at the University of Illinos at Urbana-Champaign introduces a new website for the Illinois Digital Newspaper Collections (IDNC). The Spring 2014 issue of Common-Place is now available online. On Tuesday May 6, 2014, Mary Parks delivered flowers to Ely nurse Dawn Anderson on behalf of the Dorothy Molter Museum. Parks, Curator of the Dorothy Molter Museum, presented the flowers in memory of Dorothy Molter and in honor of nurses everywhere. Widely known as "the Root Beer Lady," Molter, a registered nurse, was also known as "the Nightingale of the Wilderness" for the first aid she provided in the Boundary Waters. National Nurses' Week began on May 6 (coincidentally Dorothy Molter's birthday) and ends May 12 (Florence Nightingale's birthday).